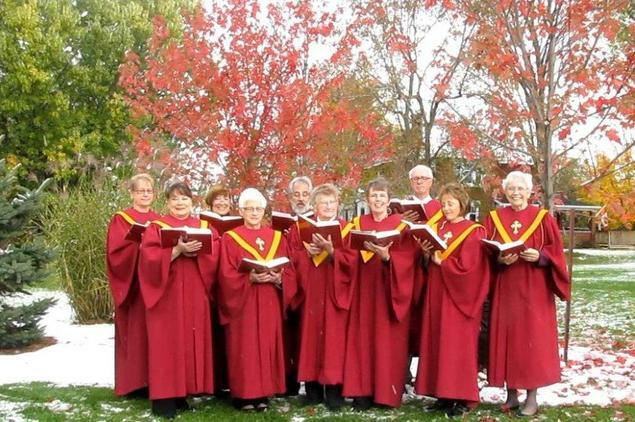 "All God's Creatures Got a Place in the Choir"
St. Andrew’s Sanctuary Choir is always looking for more voices. 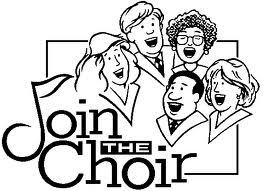 But, the number one reason to join us is that singing is a purely joyful pursuit! From the soaring anthems through the oldest of traditional hymns and on to the toe-tapping medleys it is always a wonderful feeling to bring the gift of music to our church family. We practice on Thursday nights from 7 - 8:30 p.m.
Don’t believe that you are not good enough. You are! Remember, “All God’s Creatures Got a Place in the Choir”. 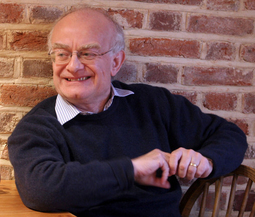 And, if you would like a little more encouragement take a look at the article below by John Rutter, renowned composer, about the importance of choir. Choral music is not one of life's frills. It's something that goes to the very heart of our humanity, our sense of community, and our souls. You express, when you sing, your soul in song. And when you get together with a group of other singers, it becomes more than the sum of the parts. All of those people are pouring out their hearts and souls in perfect harmony, which is kind of an emblem for what we need in this world, when so much of the world is at odds with itself ... that just to express, in symbolic terms, what it's like when human beings are in harmony. That's a lesson for our times and for all time. I profoundly believe that. And musical excellence is, of course, at the heart of it. But, even if a choir is not the greatest in the world, the fact that they are meeting together has a social value. It has a communal value. And I always say that a church or a school without a choir is like a body without a soul. We have to have a soul in our lives. And everybody tells me, who has sung in a choir, that they feel better for doing it. That whatever the cares of the day, if they maybe meet after a long day's school or work, that somehow you leave your troubles at the door. And when you're sitting there, making music for a couple hours at the end of the day, that's the only thing that matters at that moment. And you walk away refreshed. You walk away renewed. And that's a value that goes just beyond the music itself. Of course, as a musician, I put the music at the heart of it, but all of these other values just stand out as a beacon. I think our politicians need to take note ... my gosh do they ever!, and our educators, those who decide education budgets, church budgets, just need to remember it's not a frill. It's like a great oak that rises up from the center of the human race and spreads its branches everywhere. That's what music does for us. And choral music must stand as one of the supreme examples of it.